Democratic Rep. Mike Quigley of the House Intelligence Committee sent a letter to chairman Devin Nunes asking him whether he consulted with the White House in producing a bombshell memo which claims to show surveillance abuses by the Department of Justice. Quigley said he was “particularly troubled” by Nunes’ initial refusal to answer questions about possible collaboration with the White House on the memo. This is the second time since last year that Nunes has become embroiled in a partisan controversy involving classified intelligence and the White House. Democratic Rep. Mike Quigley, who sits on the House Intelligence Committee, sent a letter to chairman Devin Nunes on Thursday asking him to provide formal answers to questions about potential coordination with the White House in drafting an explosive memo purportedly showing the Department of Justice abusing its surveillance authority. The question of whether Nunes had been in contact with the White House about the memo first came up on Tuesday, after The Daily Beast reported that Nunes deflected inquiries about the subject during a committee meeting. According to a transcript of the meeting, Quigley asked Nunes whether he had been in consultation with the White House before, during, or after drafting the memo. “Did they talk about doing this with you? Did they suggest it? Did you suggest it to them? Did you consult in deciding how to go forward before, during and after this point right now?” Quigley asked Nunes. Nunes was referring to when he subpoenaed the Department of Justice and the FBI to provide “any and all documents relating to the agencies’ relationship with former British Secret Intelligence Service officer Christopher Steele and/or the so-called ‘Trump dossier'” on August 24 last year. Fusion GPS, an opposition research firm, hired Steele in late 2015 to dig up dirt on then-candidate Trump on behalf of anti-Trump Republicans. Democrats took over funding for the research after Trump won the Republican nomination in the summer of 2016. During Tuesday’s committee meeting, Quigley pressed Nunes after he denied working with the White House on the memo. “Mr. Chairman, does that mean that none of the staff members that worked for the majority had any consultation, communication at all with the White House?” he asked. “The chair is not going to entertain a question by another member,” Nunes replied, according to the transcript. Quigley said in his letter Thursday that he was “particularly troubled” by Nunes’ apparent refusal to answer questions about potential collaboration with the White House on the memo, whose public release President Donald Trump is expected to sign off on this week. 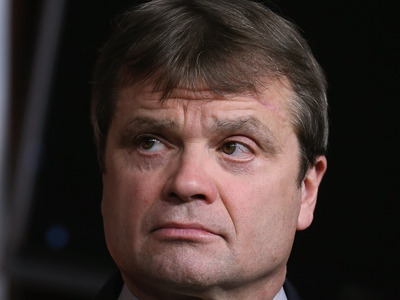 Quigley added that obtaining answers from Nunes about his questions “have become all the more urgent and necessary” given Trump’s and his Republican allies’ sustained attacks on the credibility of the Justice Department, FBI, special counsel Robert Mueller, and the Russia investigation. The Illinois Democrat then said he would give Nunes until February 5 to send full, written answers to his inquiries about whether the chairman or any members of his staff coordinated or consulted with the White House at any point before, during, or after the memo’s creation. Republicans on the House Intelligence Committee unanimously voted to release the memo to the White House on Monday, and a White House official told CNN Thursday that Trump had viewed the memo. Democrats drafted up their own memo rebutting the Nunes memo, but Republicans have not yet agreed to release the rebuttal. While the president and his allies have pushed hard for its release, both Democrats and the nation’s top intelligence and law enforcement officials have cautioned against doing so, warning that the document contains “grave inaccuracies” that paint a misleading picture. Bloomberg reported on Thursday that FBI director Christopher Wray plans to issue a statement pushing back against the memo’s claims in the event that it does become public. The House and Senate intelligence committees are meant to be the most apolitical bodies in Congress, but this marks the second time Nunes has been wrapped up in a partisan controversy involving the White House since becoming chairman. He was forced to recuse himself from the House Russia probe last April after it emerged that he travelled to the White House to view what he said was classified information that showed surveillance abuses by Obama administration officials. Nunes briefed Trump on the information, which Nunes said showed that the president and his advisers may have had their communications “incidentally collected” – and their identities “unmasked” in intelligence reports – by the intelligence community after the election. Despite recusing himself, Nunes has been conducting an independent investigation into the Justice Department and the FBI since last year.